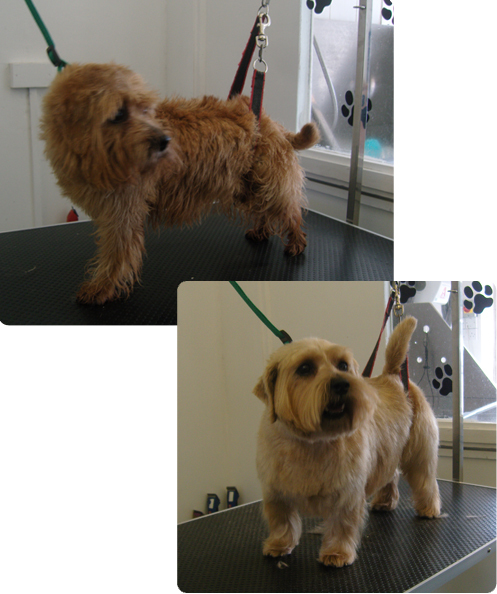 Our Grooming Service adheres to the same high standards as the rest of the Chiswick Pets service, and you can be assured that whilst your dog is with us they will be well looked after and have a pleasant, enjoyable grooming experience. During a grooming session, we also pay special attention to your dogs overall health, checking the skin, eyes, ears, feet, and body generally for anything out of the ordinary. Dog grooming fees will vary according to the coat type, size, and condition of the dog. Please see our Prices page for a guide to costs. We recommend your dog is groomed every six to twelve weeks to keep their coat and skin in good health, though exact grooming intervals will vary by breed and coat type. 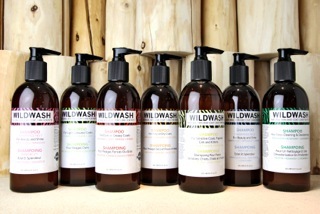 We use "WildWash", a natural shampoo made from 100% essential oils, plants and botanicals. All WildWash shampoos have a 3 Star Certification from ASCAS, and they are the first Company in the UK to be awarded this accolade! All products are made by hand using selected human grade ingredients, and the base for the shampoos is made from soybean oil with all its conditioning and anti-irritant benefits. WildWash produce a range of shampoos tailored to specific coat types and/or skin complaints. Please speak to us about your dogs requirements. Many customers don't feel confident in trimming their pets nails, this is one of the services we offer with your groom, as well as inspecting the paw-pads for any problems. We also inspect and clean your dogs ears, removing any hair that may be growing out of the ear canal - a potential source of irritation and infection. While your dog is with us at Chiswick Pets for their grooming session, we will always give a quick MOT: running our hands over every part of your dogs body, checking for lumps, bumps and cuts. We will examine the skin for parasites, dandruff and other skin conditions, taking extra care of the armpits, inbetween the toes, genital area, under tail and the stomach. If we find anything that could be of concern, we will tell you and offer advice, or suggest your dog is checked by a vet. it's all part of the normal Chiswick Pet's service. We care about your dogs overall health, not just their appearance!